Next week I’ll return to travel and photography with a series on West Coast cruising to San Francisco, California; Astoria, Oregon; and Victoria and Vancouver, British Columbia. 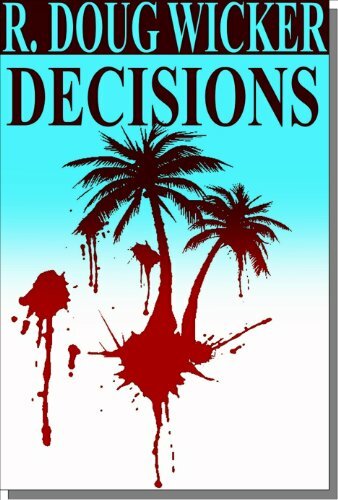 This week, however, will solely feature firearms. 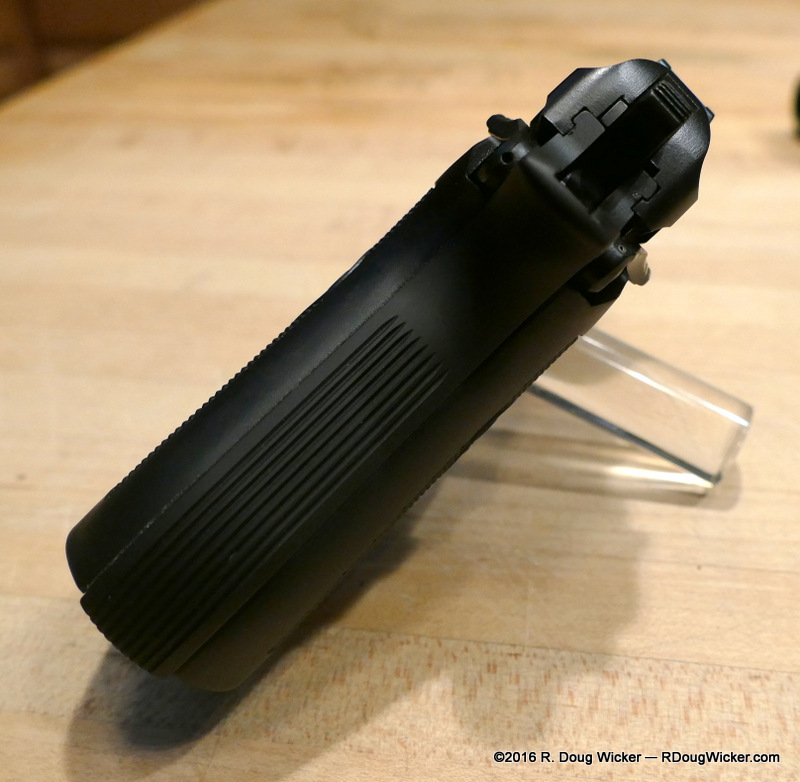 So, sorry, travel and photography fans, but I owe a bunch of people some promised gun articles. 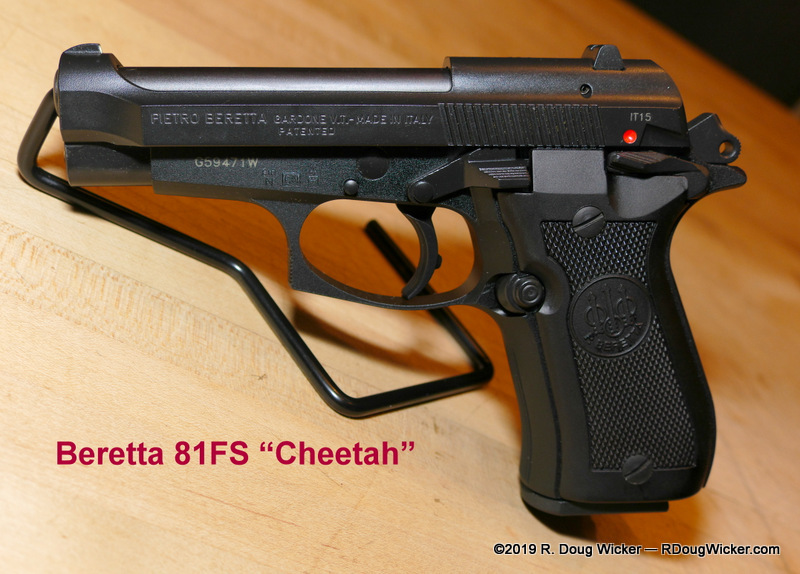 Model 89: .22 LR with 8-round magazine; this is the competition model of the Cheetah series; it has the longest barrel at 5.98 inches/152mm and weighs in at a rather hefty 41 ounces/1,160 grams. All Cheetahs are blowback operation. 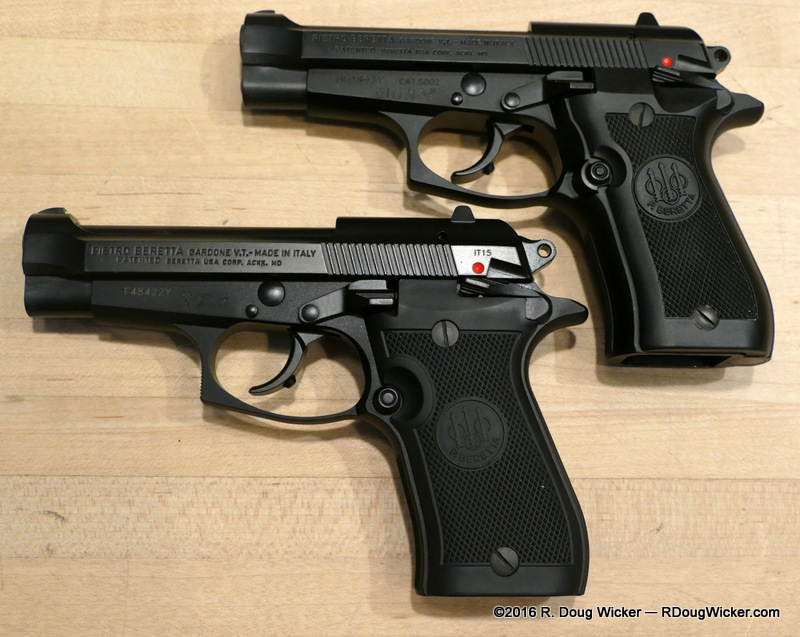 The current .32 ACP and .380 ACP pistols are all FS versions. 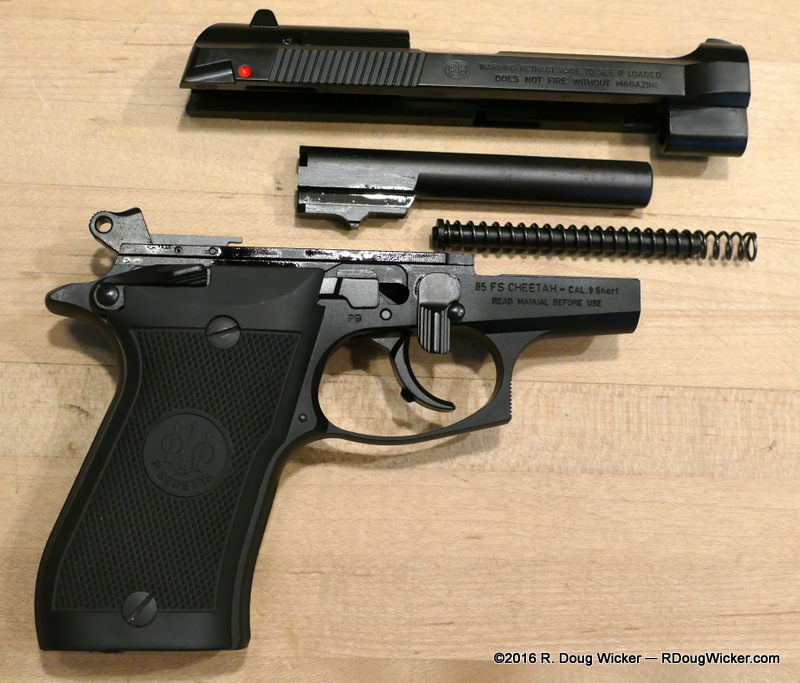 FS pistols have a squared “combat” style trigger guard, a manual safety that also serves to decock the hammer, a chromed barrel and chamber, a firing pin safety, a magazine safety, and a very tough proprietary “Bruniton” finish on the steel slide mounted over a lightweight alloy frame. 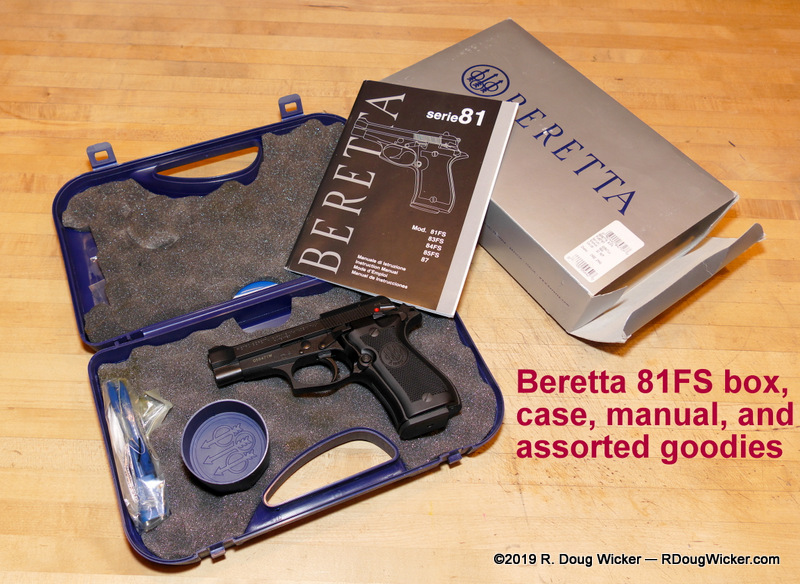 Both the 84FS and 85FS are still available from Beretta, but you must watch carefully for them. 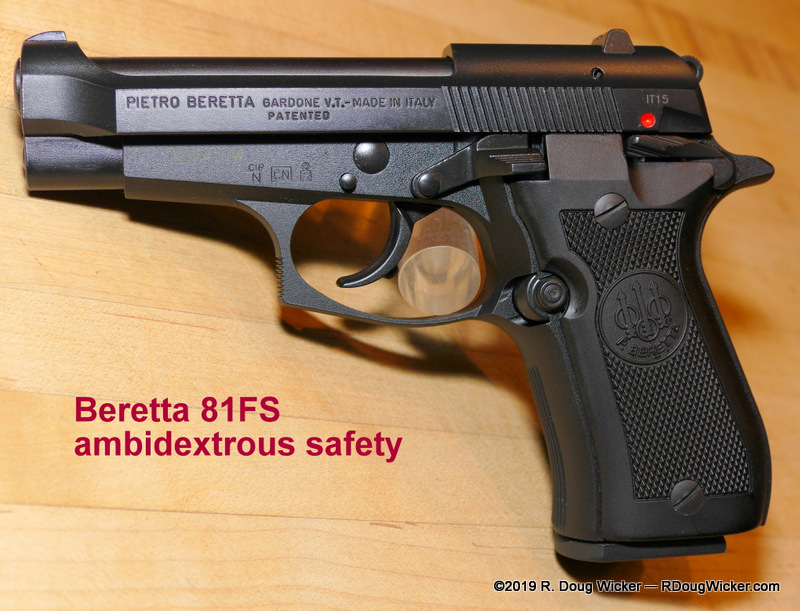 Beretta quit importing them a few years ago, and only recently started reimporting them in small, limited-run batches. 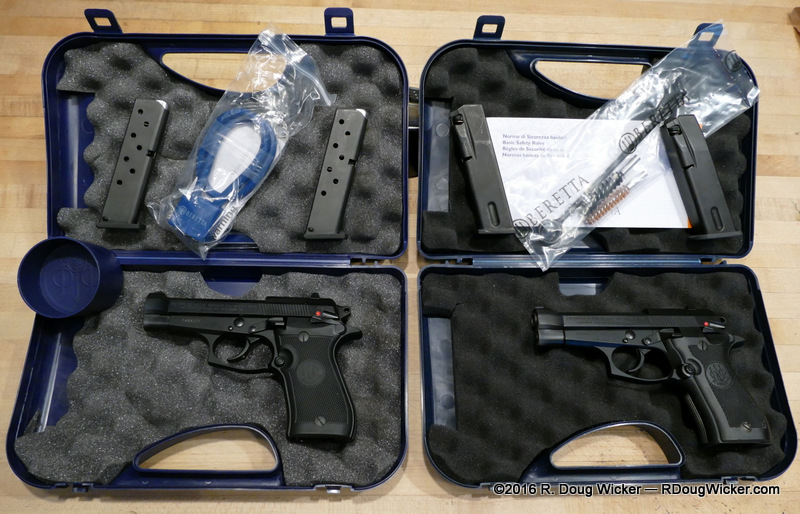 I had acquired the 84FS back in late 2012 when it appeared they would be leaving the market permanently, and just recently snagged the 85FS in early October when the latest batch hit the market. 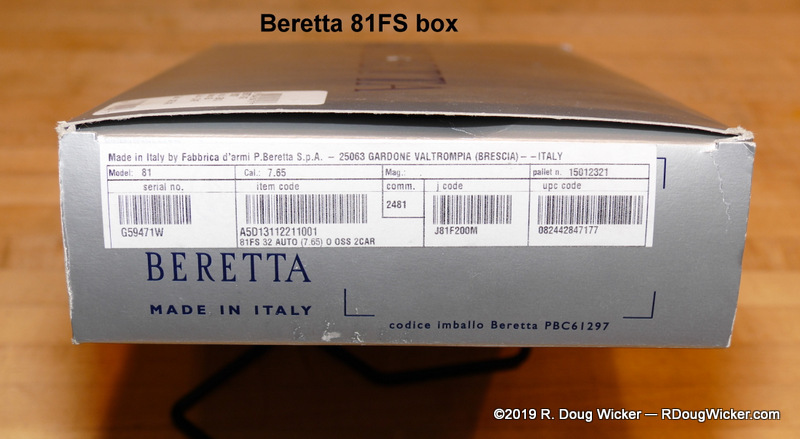 Indeed, you will find neither listed on the U.S. Beretta website. Here locally the street price was in the $730-$738 range for both. Grabagun.com shows online prices at just over $660. 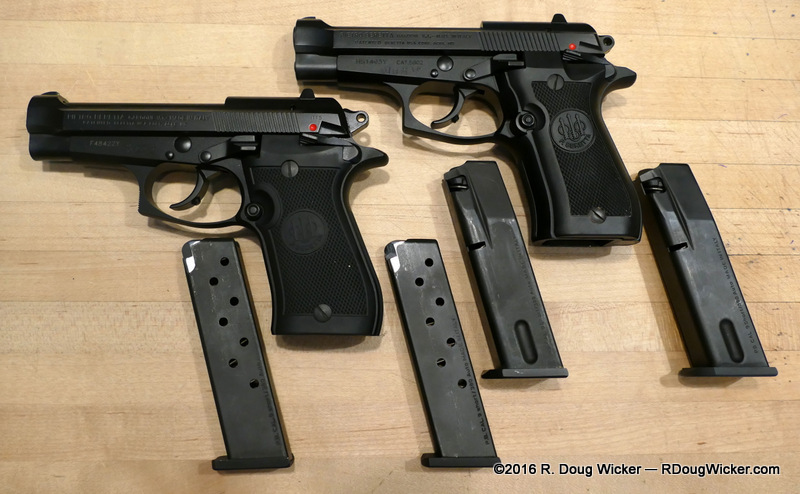 Shooting Cheetahs: I had previously fired the 84FS and was not impressed with my accuracy, especially compared to how well I fire the Walther PPK and PPK/S (link: PPK review). But there were a couple of saving graces in favor of the 84FS over the .380 ACP PPK/S — the recoil was much more manageable, allowing for quicker reacquisition of the target; the 84FS gave me a whopping six-round advantage over the PPK/S. 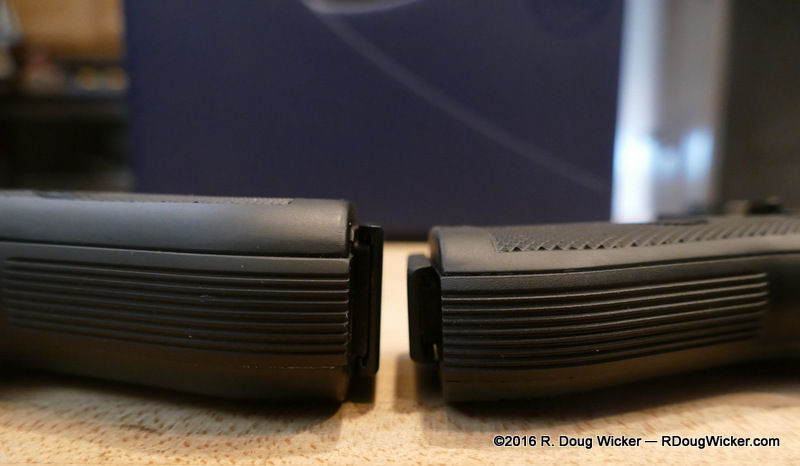 Nevertheless, I found myself going back to the PPK/S for carry, on the rare occasions when my trusty P99c AS was too bulky (link: P99c AS review), despite the unpleasantness of the recoil. 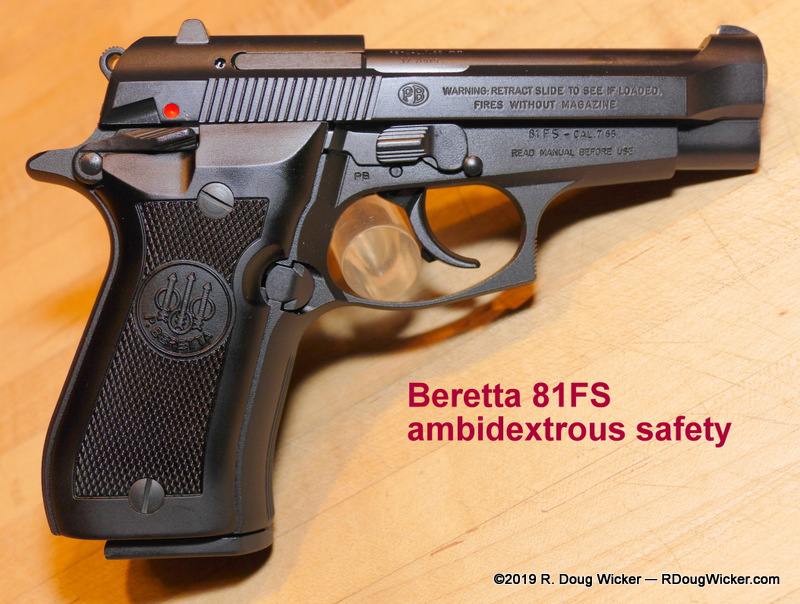 The 84FS just feels too bulky, which it is because of the width of the grip, and I just didn’t shoot is as well. I didn’t expect to do appreciably better with the 85FS, but I was wrong. In direct, back-to-back firings alternating between the 84FS and 85FS the latter had it all over the former in accuracy. 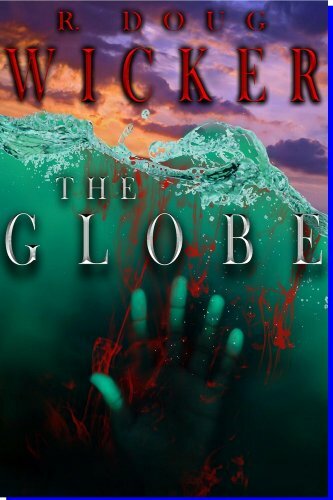 I found this astounding. I would not have thought going into this comparison that a grip width only .19 inches/5mm would make that much difference, but apparently it does with me. 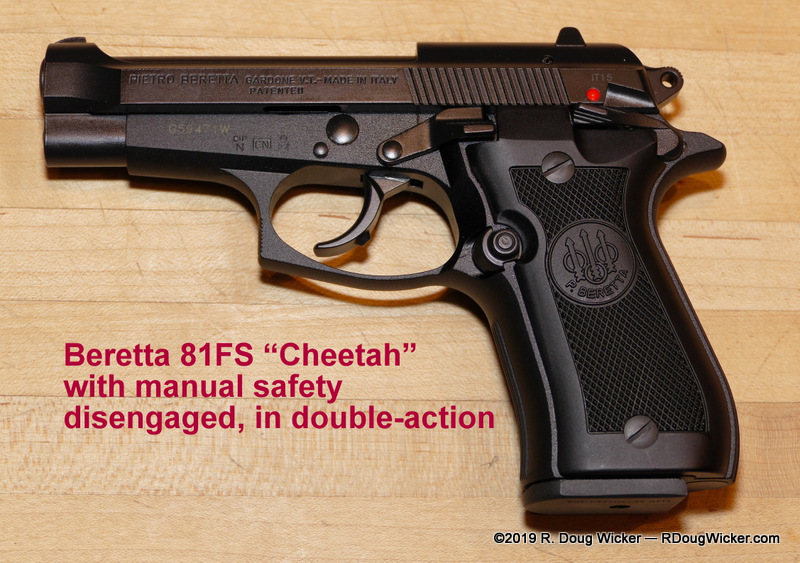 And whereas the PPK/S is an absolute beast when it comes recoil, neither Cheetah exhibits this behavior. 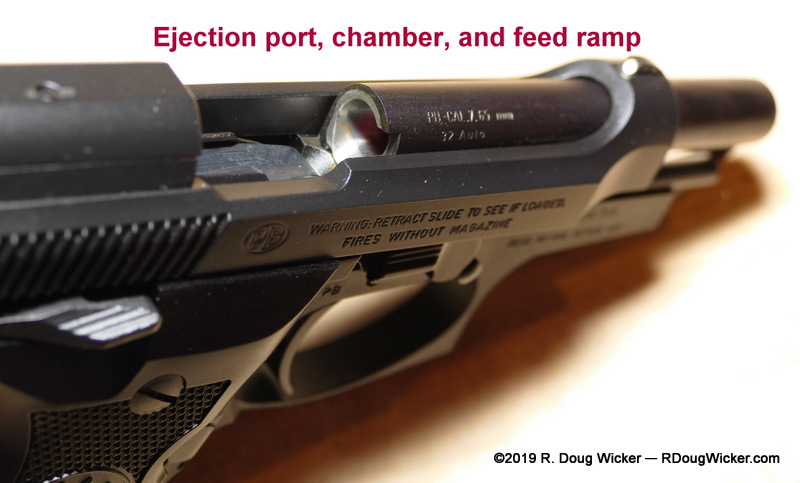 Indeed, both recoil with about the same lack of drama one gets when firing a locked breech 9mm Parabellum. 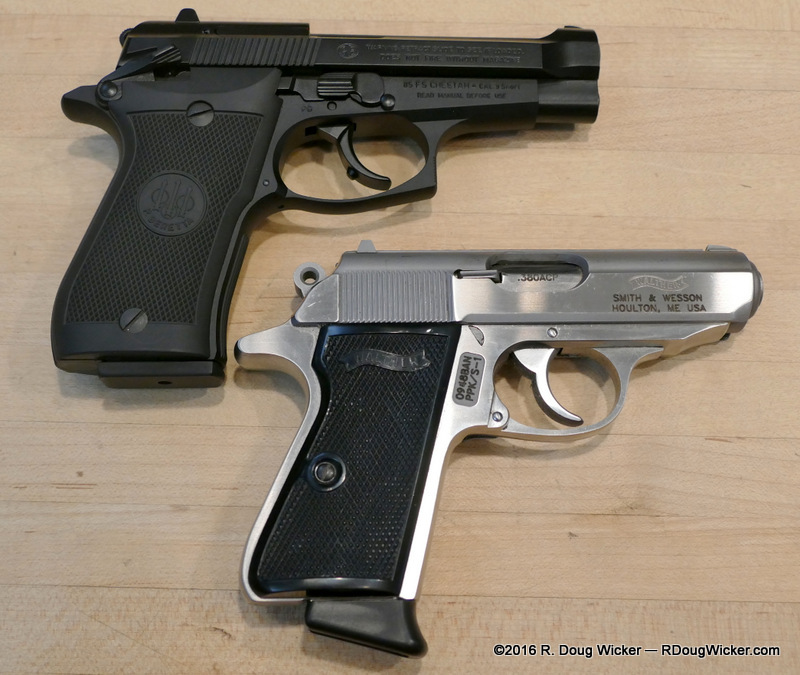 Both Cheetahs lose on this front however in comparison to the milder recoil of the .32 ACP/7.65mm PPK, which is the caliber for which the PP-series was originally designed. Now a word about concealability. 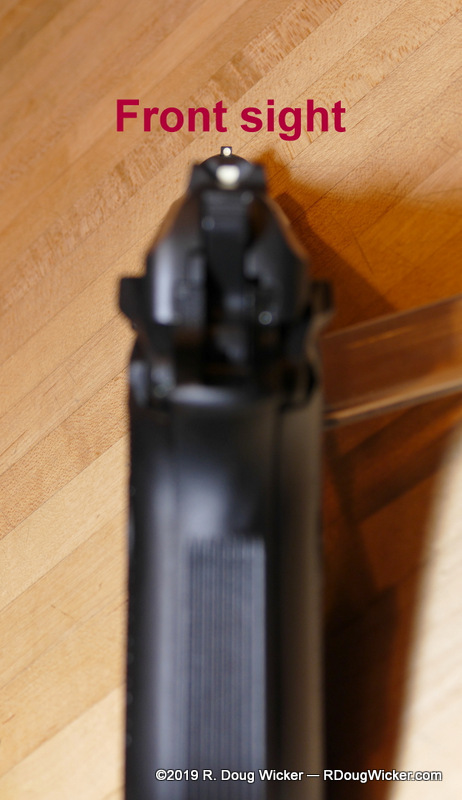 As I hinted earlier, the 84FS offers no real advantage in this area over the higher powered 9mm Parabellum, 10+1 rounds offered in the P99c, and four additional rounds of lower energy ammunition just isn’t worth the trade-off. The 85FS may change my mind, however. 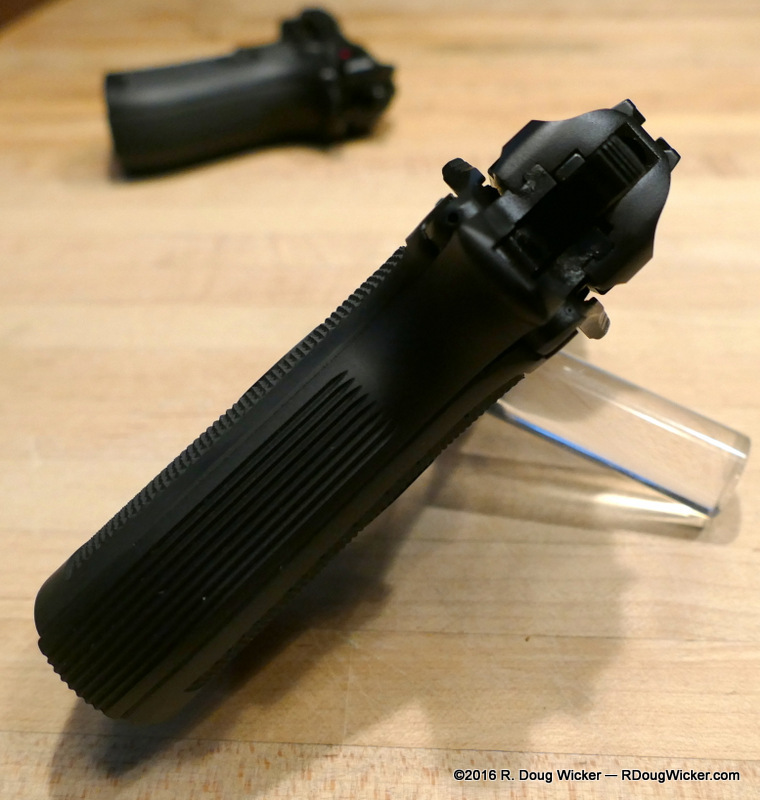 True, both the 84FS and 85FS are technically 1.37 inches/35mm wide, but that’s deceiving. 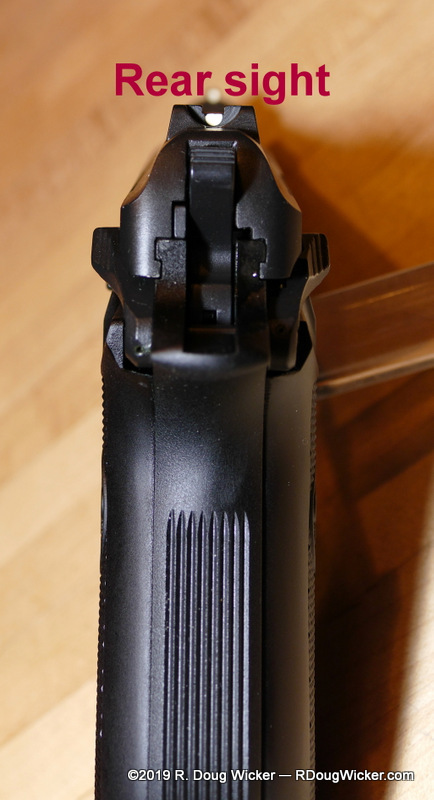 That width is measured at the widest point, which just happens to be those ambidextrous safety/decock levers, which are negligible in size and this add no real bulk in actual concealment. It’s the grip width that is the failing in this area for the 84FS, and the 85FS addresses that problem very well indeed. 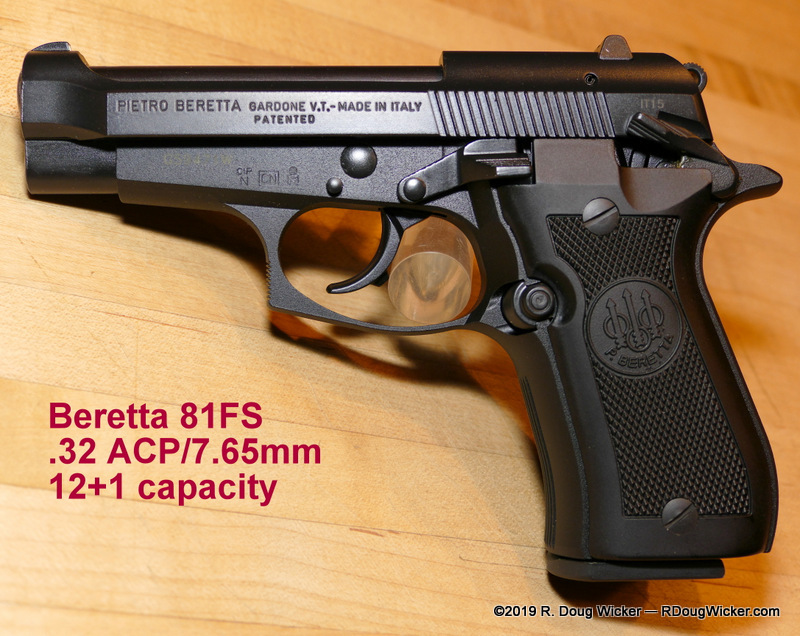 The grip width of the 9+1 capacity 85FS is 1.18 inches/30mm. 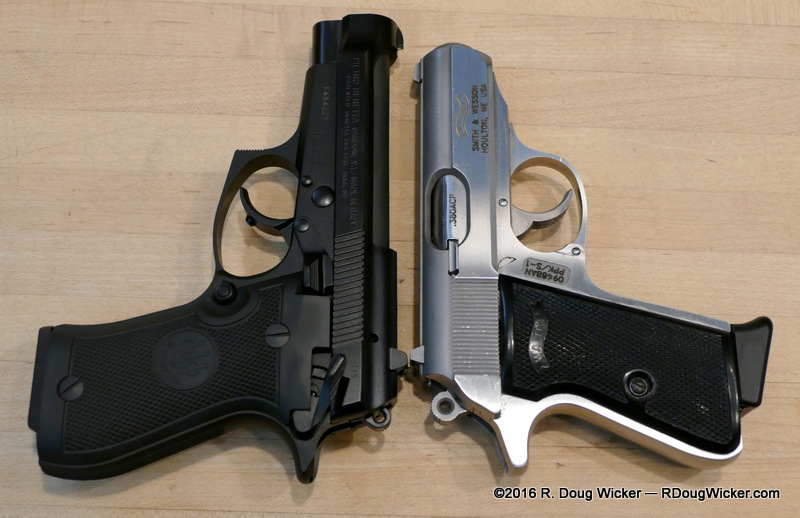 This compares to an overall width of 1.26 inches/32mm on the P99c, and a miniscule .98 inches/25mm on the PPK/S. 85FS versus . 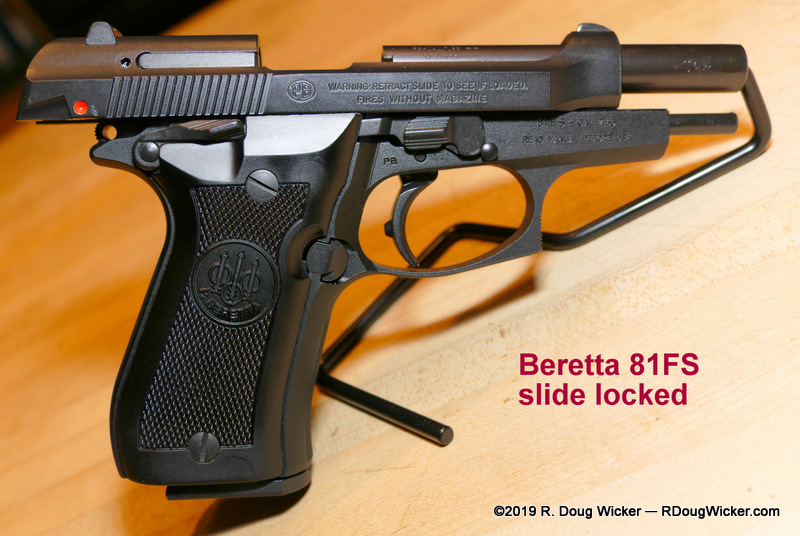 . .
For a minor .2-inch penalty in width I gain two additional rounds in the 85FS in a package that better handles recoil and which aims just as intuitively as the PPK/S. Not a bad trade-off indeed. 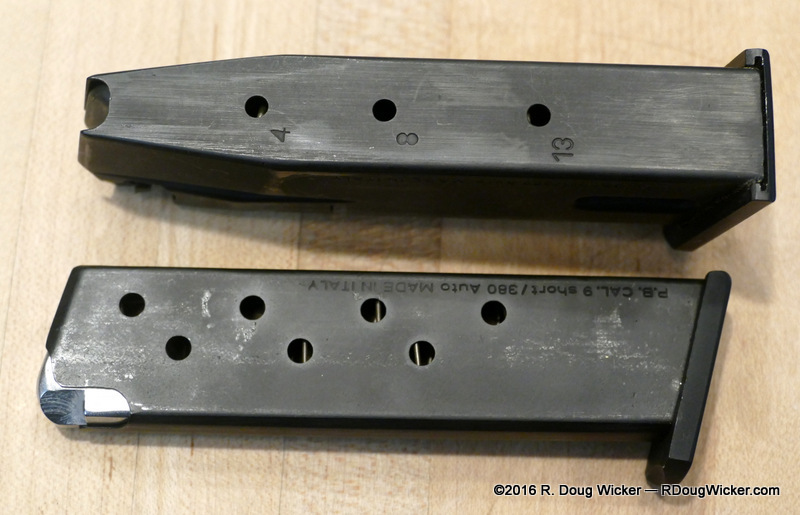 And while the numbers would seem to dramatically favor the PPK/S in concealment, side-by-side comparisons show it doesn’t really have that great an advantage as you can see below. 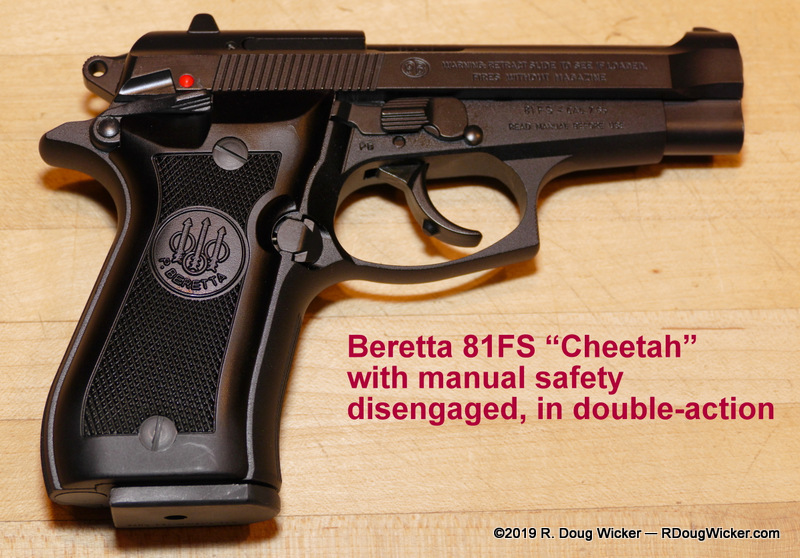 Like the Walther PPK/S, the Cheetah has a double-action/single-action trigger. 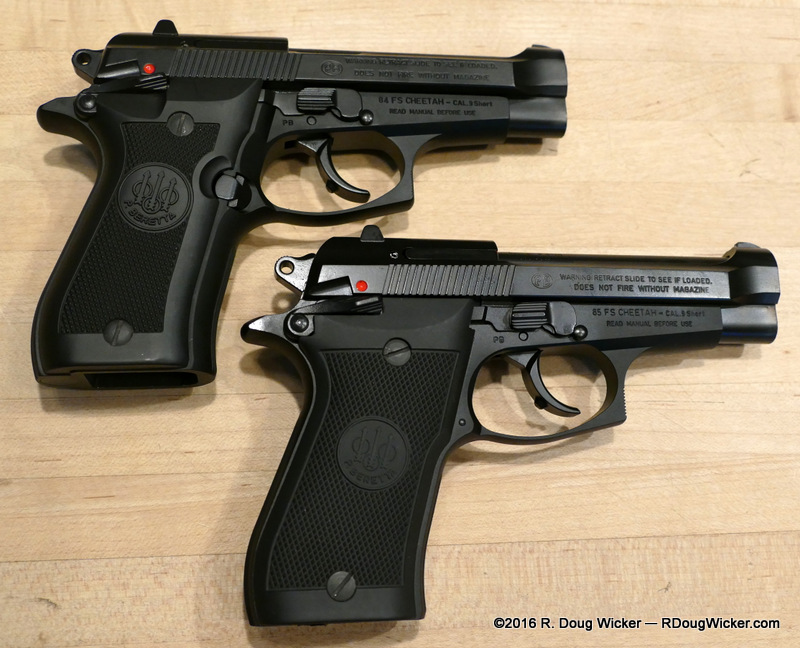 Single-action is a tad lighter on the PPK/S, and reset is shorter. 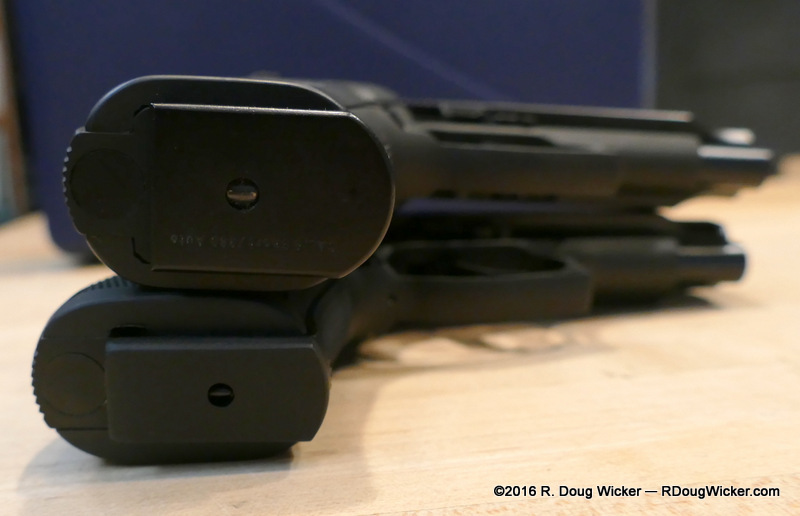 Double-action is a different story. The Cheetah is both lighter and smoother in this area.